It’s hard to believe that we are only knee-deep into the group stage of the European Championships. Drama has already reared its head, goals are being knocked in to win over the average fan and newcomer, and Ronaldo has already decided to complain about something. All we need now is a penalty shootout and the tournament will be complete! However, one of the best parts about a major tournament for boot nerds is the arrival and showcasing of new gear from all the major brands. Luckily, France is certainly providing a fantastic backdrop to gear that has us chomping at the bit to wear ourselves. Let’s take a look at everything new that you should keep an eye out for while taking in some breathtaking play. While the evoPOWER isn’t new, the evoSPEED 1.5 and evoSPEED II SL certainly are. The evoSPEED 1.5 has adopted the aggressive three-stud heel initially used on the original SL, and Puma has taken a few improvements from the SL and SL-S to add to their standard speed boot. Add in a ‘Tricks’ colorway that is incredibly loud, and you get something that has no need for the Puma Formstripe…we all know who made this. For the SL II, the name of the game was merely small modifications. The durability hasn’t been addressed, but that has never been what the SL series is about. 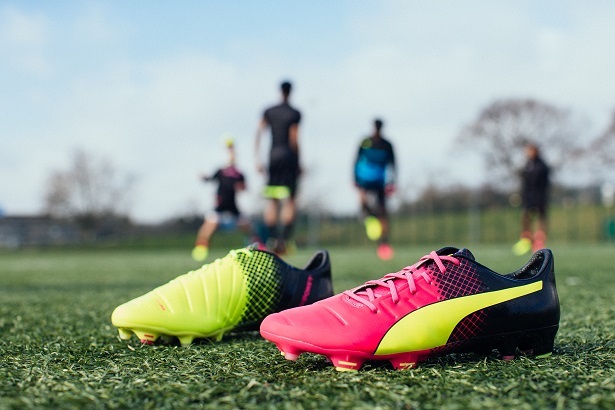 Look for any player wearing one pink boot and one bright yellow boot, and you can tell your friends that they’re rocking the new Puma speed range. The biggest hint is the massive EVOSPEED callout on the boots. Never shy, the big cat. 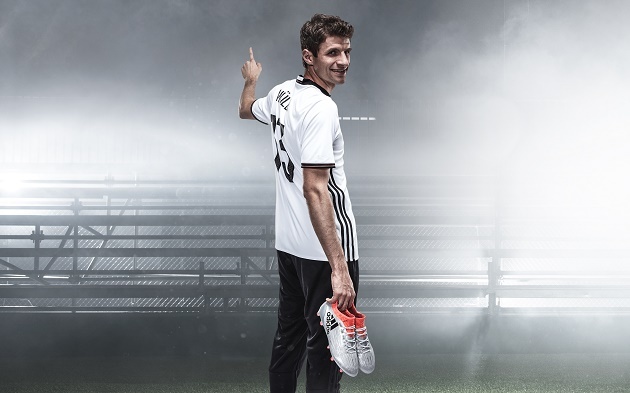 Adidas probably has the most to lose and gain at the European Championships despite one of their main silos being completely absent from the tournament. Don’t expect any of the MESSI 16 boots to show, but we’ve already seen a ton of the new X 16 silo and the new colorway for the ACE 16 on display. Both of those boots are extremely aggressive releases from the German giants and will be hoping to parlay the tournament into serious attention. Considering the brightness that the Mercury Pack has while watching the games on television, there’s no doubt that the boots are getting plenty of advertising. The new X 16 silo has taken a fairly serious departure from its predecessor, but causing chaos is still the name of the game. 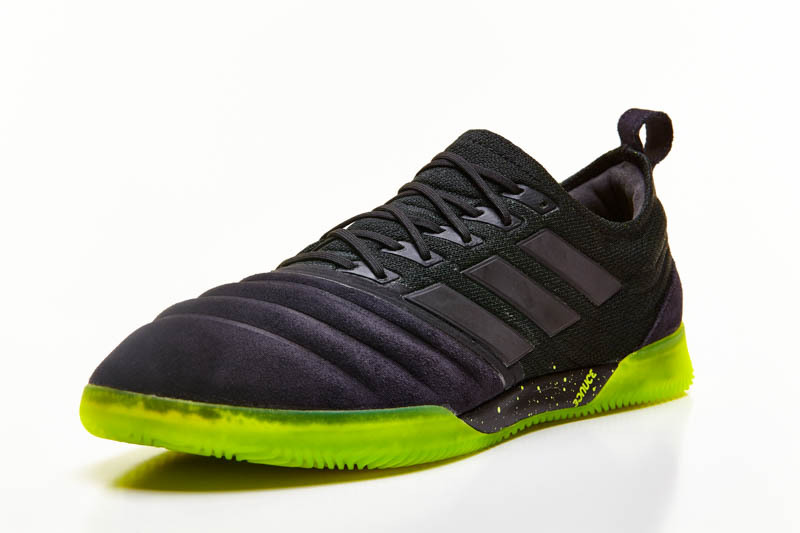 With upgrades to the techFit involved and a new style of low-cut collar, adidas will be hoping this boot can steal some spotlight from its Swooshed rival. 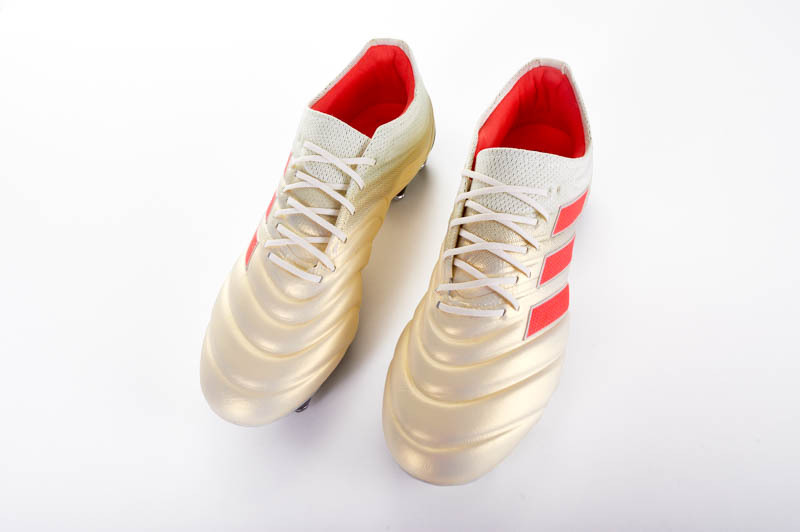 The new ACE has been out for some time and has already been reviewed heavily, but this tournament will hope to provide new life to a boot that could easily have been lost between the new launch of the PUREAGILITY and PURECHAOS. If it’s silver, it’s adidas. The biggest knock for adidas is that one of their biggest stars at the tournament (Gareth Bale) is wearing an old model of their boots…perhaps it’s time to make a phone call. Key players: Paul Pogba of France (ACE PURECONTROL), Thomas Müller of Germany (X PURECHAOS), and Nani of Portugal (X PURECHAOS). The American brand has never had issue with making sure that their boots stand out at a major tournament. It might have something to do with their affinity for “Volt” in situations such as these, but that’s another discussion altogether. 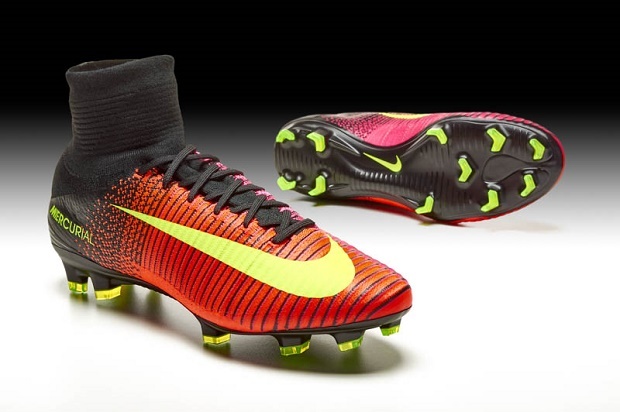 Nike does have some new toys and some major updates hitting the European pitches. The new Mercurial boots (the SuperFly V and the Vapor XI) and the heavily updated HyperVenom (the Phantom II and the Phinish II) will be the main boots on show, but the Magista and Tiempo have also received color updates. 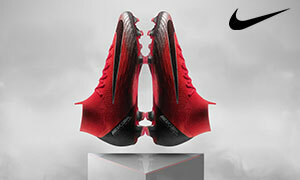 With the new Mercurials, Nike has tried to continue their path towards being the ultimate machine for speed everywhere on the pitch. New tech on the uppers and some new changes to the soleplate are fantastic additions and, after using both extensively, it’s certainly impressive to see Nike improve on boots that were already very impressive. The new HyperVenom boots are a great combination of old and new as the new technology blends with the old upper from the original Phantom. While every elite Nike boot will be getting time and serious focus in Nike advertising, it shouldn’t be a surprise to see a wealth of the Vapor XI and Phinish II rocking pitches in France. The collared creations are grand, but Nike isn’t messing around with their releases. It’s all good from the Swoosh…seriously…all good. Key players: Half the England squad (Kane, Rooney, Sterling, blah, blah, blah), CR7 of Portugal (Mercurial SuperFly V), and Dimitri Payet of France (SuperFly IV). There are a ton of other players that we just didn’t have room to mention that will be hoping to be big billboards for their brands in the coming weeks. Which boots have caught your eye at this tournament? 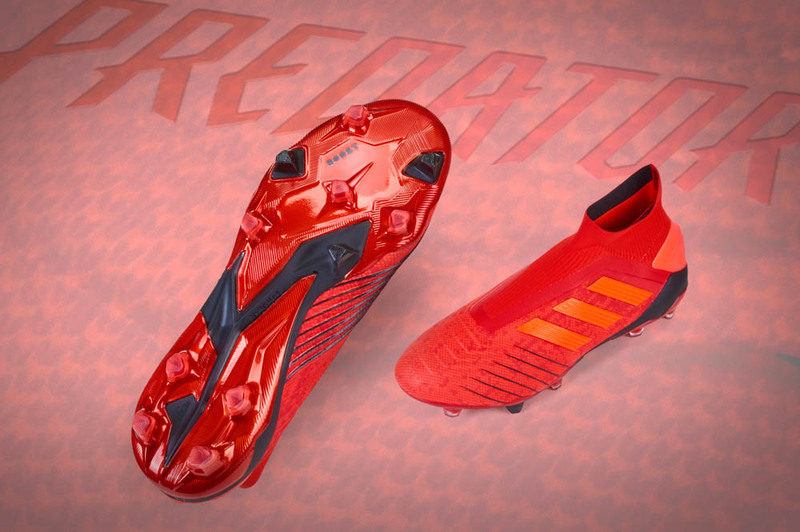 Which boot do you wish wouldn’t have made it out of qualifying? We hope you’re enjoying the Euros as much as we are!